WHY settle for poolside movies when you can watch films in a floating cinema in the middle of the ocean? Movie enthusiasts from all across the world have recently gathered to attend the “Film on the Rocks Yao Noi” film festival in Thailand. 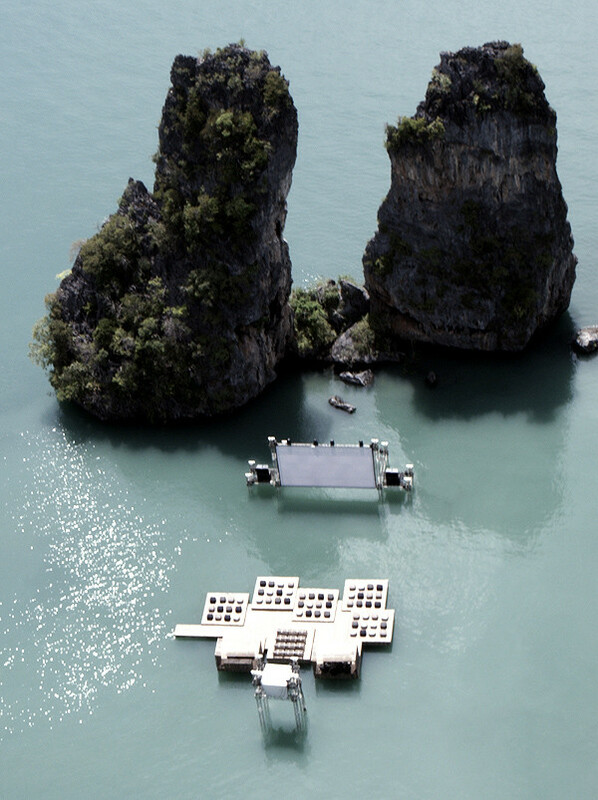 Literally on the rocks, The floating cinema creates a totally unique movie experience set amidst the jagged shoreline of Yao Noi. Combining the rugged natural beauty mother nature with the clear blue waters of Nai Pi Lae lagoon on Kudu Island, the German architect behind the project ‘Ole Scheeren’ hoped to offer film buffs a spiritual experience. The projection screen was nestled between the majestic peaks backdrop of a huge wall of rocks. Inspired by the construction of floating lobster farms, the Archipelago Cinema was crafted out of wooden frames tied to foam blocks with rubber straps and then wrapped in Mosquito nets. 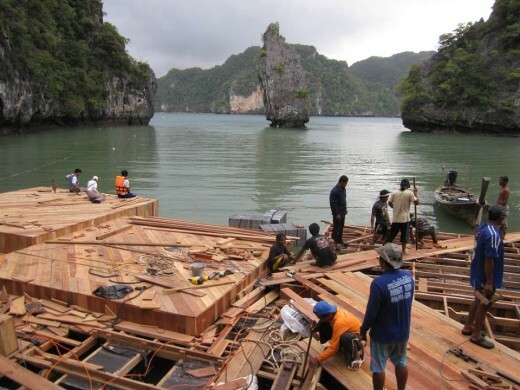 A simple construction technique developed by the local Thais. Event attendees were transported by boat to their floating seats in the “Archipelago Cinema” built on a large raft out of recycled materials.